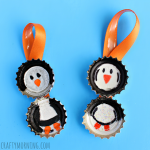 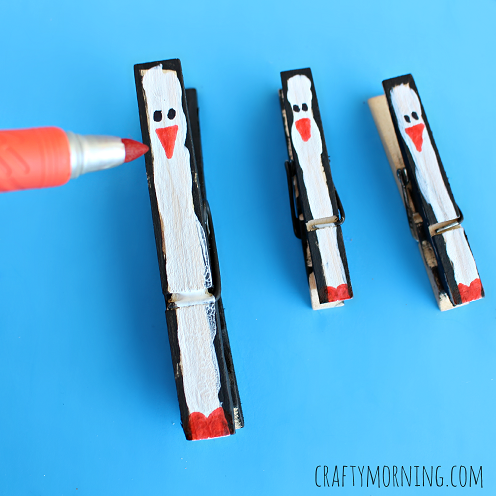 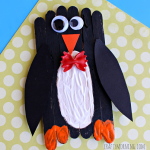 I grabbed some of my big and mini clothespins to make some penguins today! 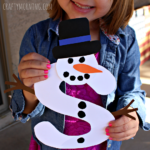 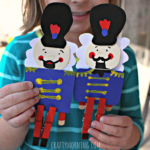 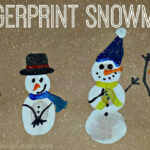 Kids can make them to play with or put them on a winter Christmas card for someone! 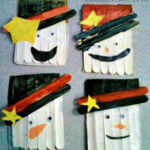 I think they are adorable with little scarves on. 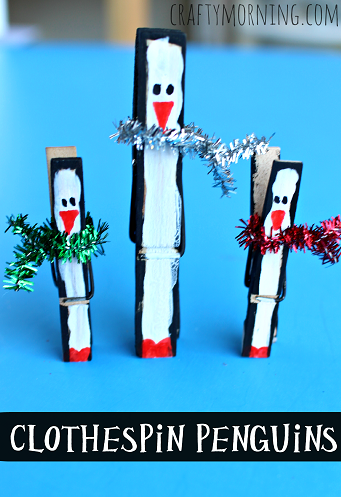 Start by painting the clothespin with black paint around the edges and white on the front. 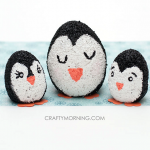 Once it is dry, take a black sharpie and draw the penguin’s eyes. 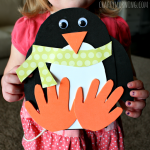 After that grab a orange sharpie and draw the beak/feet. 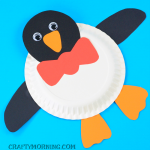 Cut a small piece of sparkly pipe cleaner and tie it around the penguin’s neck so it looks like a scarf. 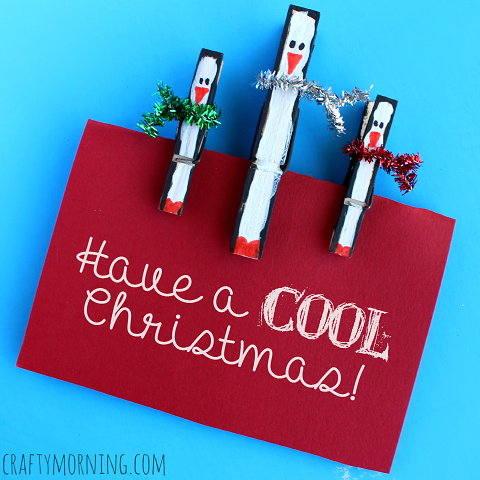 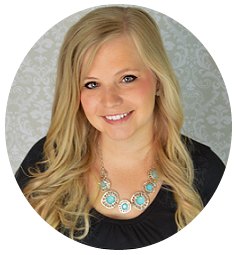 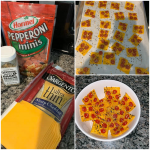 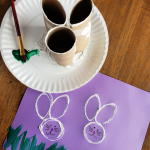 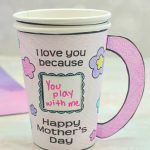 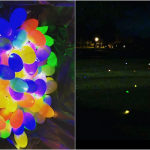 Clip them on a piece of card stock paper to make a card or just play with them!